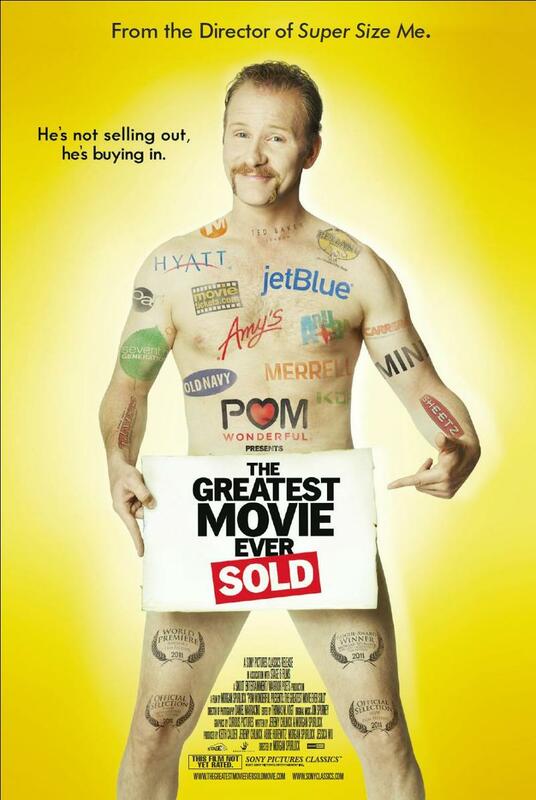 Today, I watched the documentary The Greatest Movie Ever Sold, the latest film by Morgan Spurlock (Super-Size Me). The goal of the movie is to look inside the business of advertisement, especially “product placement” which is when a company pays to have its product appear in a movie, tv show or music video. Spurlock convinces different companies (including Mini and POM) to pay for the entire production in return for product placement in the movie. The reason I am talking about this on my “environment-y” blog is because consumption, the goal of advertisements, is one of the causes of the environmental problems we are currently facing. You’ve probably heard (or read) this stat before, but, if everyone on this planet consumed at the rate of North Americans, we would need three to five planets worth of natural resources (Story Of Stuff). Talk about something that is not sustainable. One last thing: The movie also looks at how schools in the US have started putting up advertisements inside their buses, on school property and inside their classrooms in order to make ends meet. As a teacher myself, I find it very sad that American schools are so underfunded that they have to do this in order to not cut programs. Anywho, here is preview of The Greatest Movie Ever Sold. It’s now out on video and iTunes.